BUTUAN CITY, Sept. 18 (PIA) – The Tulay sa Overseas Filipino Workers’ (OFWs) Multi-Purpose Cooperative (MPC) will be spearheading the first "Caraga OFWs' Summit" on September 20-21, 2014 at LJ Mega Convention Hall, this city. Mayor Ferdinand Amante Jr will deliver his welcome remarks on the first day of said event. He will also share the city’s Vision 2020 along with its programs and future plans for the city. Susan "Toots" Ople, President of Blas F. Ople Policy Center and Training Institute will also serve as the keynote speaker while Cong. Roy "Amba" Seneres, Representative of the OFW Family Party List will give his inspirational message. According to Engr. Zaldy Deronia, President of Tulay sa OFWs MPC, they also invited Senator Cynthia Villar, chair on Agriculture and Food Committee to grace the activity and give her message to all the guests and participants. “This is the first OFWs Summit in Butuan and Caraga region so far. We are looking forward to the full support and participation of our cooperative-members for this momentous activity. Effective strategies for coops will be discussed and participants will be able to raise their issues and concerns during the forum proper,” bared Deronia. Of the 13 municipalities and the lone city of Bayugan, three municipalities namely Sibagat, San Luis and Sta. Josefa were not in the list of the municipal local government units (LGU) that will participate in the Mindanao-wide tree planting and growing activity. The 116,000 seedlings will be planted by some 6,000 volunteer planters mostly coming from private sector, people’s organization, private institutions, cooperatives and government employees and officials in some 200 hectares of land. Local chief executives from the ten municipalities and the City of Bayugan identified the areas to be planted as response to the advisory from the Department of the Interior and Local government and the call of Agusan del Sur Gov. Adolph Edward Plaza to give their utmost share in the quest of protecting the environment and mitigating the effect of the climate change. According to Mindanao Development Authority (MinDA) Caraga area manager Cecil Trino, this is in line with the National Greening Program of the Department of Environment and Natural Resources (DENR) and in order to ignite cooperation from all sectors. DENR and MinDA programmed it into a Mindanao-wide activity with the aim to break India’s record in the Guinness World Record having planted some 2 million trees in an hour in 2011. “But even though we will not hit our ambition to be in the Guinness World Record because maybe of some technicalities, we can still proudly shout to the world that we have done a very noble deed, the planting of trees and become in the protection of environment and in mitigating the ill effects of the global warming,” DENR regional technical director Maritess Ocampo said. Two weeks ago, Gov. Adolph Edward Plaza called on all local chief executives in province to give their utmost support to the program in order to become part of this noble activity. BUTUAN CITY, Sept. 18 (PIA) – The Department of the Interior and Local Government (DILG) 13 has released a total of P10.6M potable water supply projects and P4.62 capacity development (CapDev) projects to the eight and six local government units in Caraga Region, respectively in a ceremony held recently in this city. The Potable Water Supply projects are expected to be completed by second quarter next year. DILG 13 regional director Lilibeth Famacion said that it’s a relief to about 1,200 recipients/ beneficiaries of the project, who for several years do not have access to potable water supply. “We do not only address the problem on lack of water for drinking and other household uses but we also prevent proliferation of water – borne diseases in those waterless areas,” Famacion said. TANDAG CITY, Surigao del Sur, Sept. 18 (PIA) – A public hearing for “Draft 2014 Revenue Code of Tandag City” and three other draft ordinances of equal importance is set on September 19 at 1:30 p.m. at the city gymnasium, this city. 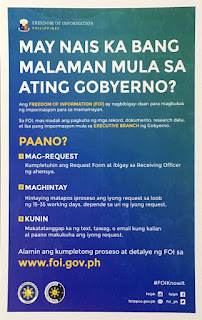 Marina Cuizon, Secretary to the Sangguniang Panlungsod has already sent out invitations dated September 3, 2014 to all concerned about the said event. Addressees are barangay captains, representatives of the civic and religious organizations, academe, drivers and operators of all light public utility vehicles, government offices based on this city, radio stations, vendors association, and city-based business establishments. Also, earlier this month, Vice-Mayor Ruel Momo said that one of the basic and most important processes of crafting local laws, which is a public hearing, is going to be held. He added that an increase in local impositions, which includes real property taxes, is one of the crucial concerns. 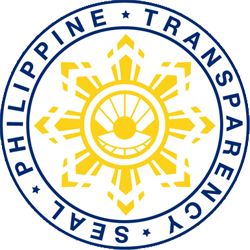 The other three draft ordinances to undergo public scrutiny are: Preventing/Regulating the Planting of Trees Along Power Distribution Lines; The Anti-Truancy Ordinance For Elementary Pupils and High School Students in the City of Tandag; and, An Ordinance Prohibiting the Use, Sale, Distribution and Advertisement of Cigarettes and Other Tobacco Products in Certain Places, Imposing Penalties for Violations Thereof and Providing Funds Therefor, and for Other Purposes. TANDAG CITY, Sept. 18 (PIA) – The Association of Capitol Employees of Surigao del Sur (ACES) has earned compliment from provincial administrator Efren Rivas due to its recent reactivation. Rivas even advised the group to lobby for funding assistance to be taken from the 20 percent Annual Investment Plan (AIP) for its operation, citing not only the “benefits and upgrading of the employees” but also the conduct of orientation/training and other activities that will enhance the working capability of its members. “It’s necessary that we should give an allocation especially with the challenges that we are facing,” he added. It was learned that the province of Surigao del Sur has more or less 908 regular employees, according to Theresa Burgos, Officer-In-Charge (OIC) Human Resource Management Officer (HRMO). Meanwhile, ACES interim president Jose Urbiztondo said that the newly reactivated association is set to hold its first general assembly on October 24, 2014. BUTUAN CITY, Sept. 18 (PIA) - Technical Education and Skills Development Authority (TESDA)-Caraga has honoured personnel and partners who have made significant contributions to the accomplishments of the agency. The event, dubbed as “TESDA Service and Institutional Awards Ceremony,” underscored the role of its personnel, partners and stakeholders towards achieving the mandates, thrusts and programs of the agency. Leading the roster of awardees is Cong. Philip A. Pichay of the First Congressional District of Surigao del Sur who was conferred 2014 Regional Kabalikat Awardee for the Legislative Category. The annual TESDA Kabalikat Award is conferred to partners and stakeholders both in the public and private sectors who have regularly supported the programs of TESDA that are implemented in different localities in all regions of the country. Along with Pichay, the provincial government of Agusan del Norte through the leadership of Gov. Ma. Angelica Rosedell Amante-Matba is this year’s recipient of the 2014 Regional Kabalikat Awards for the LGU category. The plaque was received by Provincial Administrator Percianita Racho. Meanwhile, Hinatuan Mining Corporation from Taganaan, Surigao del Norte was declared winner in the Industry Category while AMA Computer Learning Center of Agusan del Sur was chosen under the Institution Category. TESDA 2014 Regional Idol winners were also given recognition during the event. Ronnie L. Abao and Jay Letran both from Agusan del Sur were declared winner and first runner-up, respectively. Aside from the plaque of recognition, Abao also received a trophy from TESDA Central Office and P5,000 cash prize. As an outstanding partner in the Technical Vocational Education and Training (TVET), the Caraga Association of Technical Vocational Institutions, Inc. (CATVII) was given recognition for the invaluable support extended during the activities/programs of TESDA-Caraga. CATVII is major sponsor during the conduct of the 2013 Regional Skills Competition in Cabadbaran City in November last year. Among those who received plaques of appreciation are: Philippine Information Agency (PIA)-Caraga Region, The Northern Mindanao Chronicle, 103.9 Radyo Trumpeta, dxBR Bombo Radyo Butuan, ABS-CBN Butuan and TV-5 Butuan. Provincial awardees who were considered partners and stakeholders in providing and implementing TVET programs were likewise given recognition and received plaques of appreciation. TESDA-Caraga regional director Dr. Florencio F. Sunico, Jr. said the partners and stakeholders of the agency have significantly contributed to the accomplishments in implementing programs. “Thus, it’s time for TESDA-Caraga to recognize the efforts and contributions of these individuals and/or organizations,” Sunico said. The official further acknowledged the strong partnership the agency has with the different public or private sectors. “May our partnership continue as we deliver the services to the Filipino people by training them to be world-class workforce,” Sunico said.